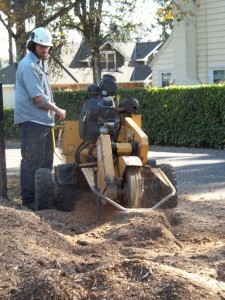 Stump grinding is an effective means of eliminating a stump to open new space for landscaping and replanting. Ward Tree Care provides a stump grinding service to remove stumps to a level of about 12 inches below grade. Call now and ask for a free estimate on your stump grinding project.